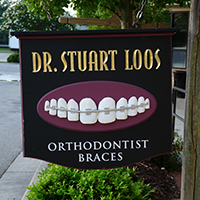 At Dr. Stuart Loos DDS, we pride ourselves in delivering comfortable, quality and personalized orthodontic care. Please view the information on this page to learn more about our office and procedures, including hours, insurance, billing, payment options, financing. Contact our office during regular business hours, and our friendly staff can answer any of your questions. We know you have many choices when choosing a Dentist in Canton, GA so we have made requesting an appointment a simple process via our Web site. If, for any reason you cannot keep a scheduled appointment, or will be delayed, please call us as soon as possible. We work with all insurance plans. We will be happy to complete and file your insurance claims for you. We accept checks, cash and credit cards. We offer customized payment plans and interest free financing for you. The smile of your dreams is affordable and obtainable at Dr. Loo’s office!